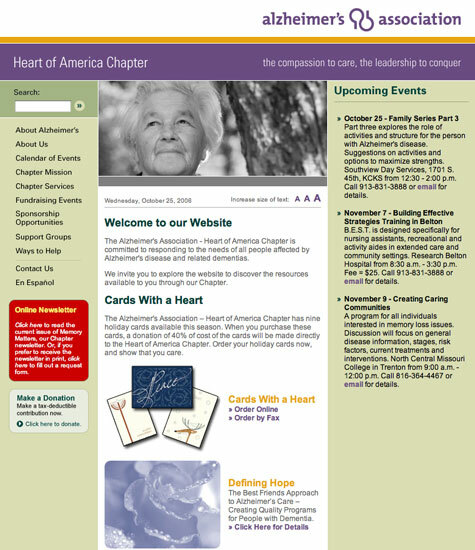 A website design and development effort for the Alzheimer's Association Heart of America Chapter (local to Kansas City). This project involved creating a PHP-based back-end for managing content in the days before WordPress was widely used. The system featured user management, site search, WYSIWYG content editing, asset management, an event system, calendar system, provider lookup system and more. 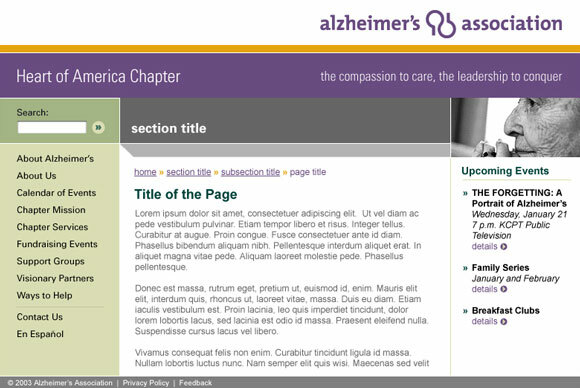 Update: This site has since been redesigned and brought in-house by the Alzheimer's Association.